 Shelby County Photos has been set up to provide readers access to images from The Alabaster Reporter, The Pelham Reporter, 280 Reporter, Shelby County Reporter, Hoover's Magazine and Shelby Living. We typically upload images one week after the publication date. Individual images are available for purchase, as are entire galleries at a discounted rate. Please feel free to contact us at photos@shelbycountyreporter.com if you have any questions or requests.